Brazilian Jiu-Jitsu is a contact sport. As with all other contact sports, especially martial arts, protection must be paramount in both training and competition. Even though BJJ is not a sport where strikes are exchanged on a regular basis, accidents still do happen. So, protecting our most vulnerable body parts has to be a priority. 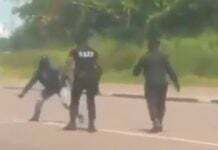 The “trouble” with grappling martial arts like Jiu-Jitsu is that every part of our body falls under the “vulnerable” category. Well, maybe not vulnerable but definitely susceptible at the very least. In that sense, different supportive gear products are available for different body parts. However, the one thing each of us needs is a good, durable and comfortable mouthpiece. 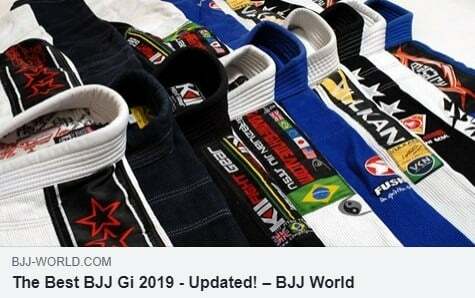 Hence, we made it our task to go through all the available options and pinpoint the Best BJJ Mouthguard options that you can get in 2019! Training BJJ on a regular basis for more than a year results in two certain things. One is that you’ll see huge technical and tactical progress since your first class. the second is that you’ll be in need of some piece of protective gear. 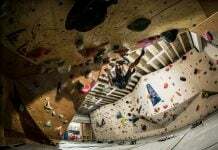 It may be as subtle as finger tape or as crucial as an injury-specific knee or elbow brace. However, if there’s one piece of gear that everyone needs, it’s a mouthguard. Protecting the teeth and gums is both very important and very easy, once you know what the best BJJ mouthguard is. Unlike other pieces of supportive gear, mouthguards are there to prevent injuries instead of helping you get through them. This makes selecting a really good one a very important step, especially if you are a competitor. 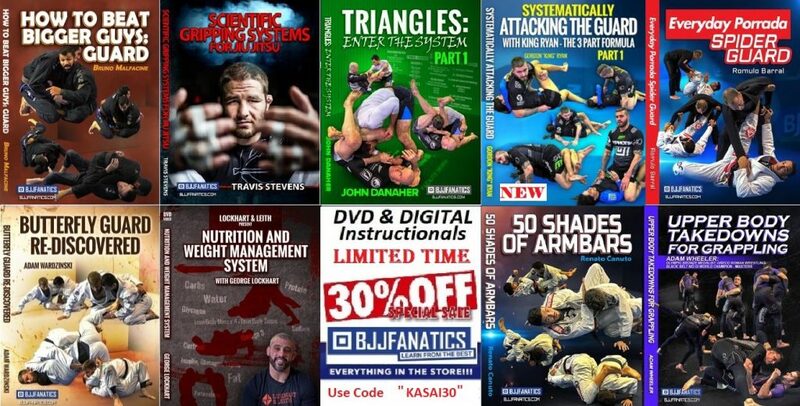 AS usual, before jumping into the business of outlining why certain products fit the best BJJ mouthguard standards, we first have to set some standards. And, to do that, we have to understand what it is we are looking for in a good mouthguard. It is actually pretty similar to BJJ in that sense. First of all, there are two main types of mouthguards. The ones we usually use and see our upper teeth and gum protection mouthguards. However, there are also double protection mouthguards that offer complete protection. Choosing which kind you like is entirely down to you. 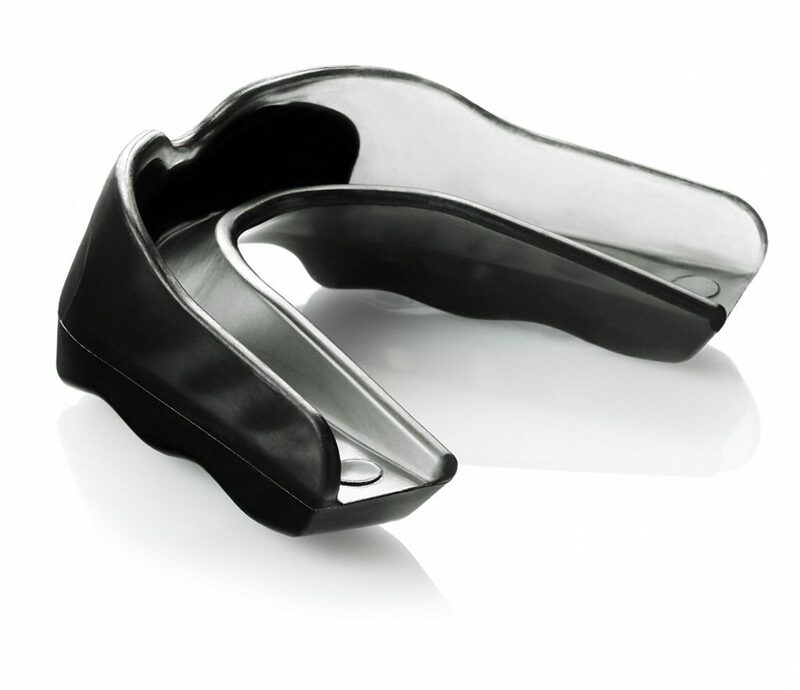 A mouthguard is a piece of protective gear that’s flexible and able for custom fitting. 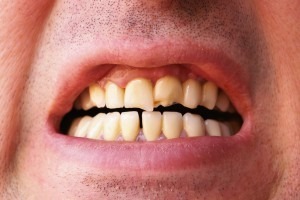 Its the main area of protection is the teeth, but it also helps protect certain parts of the gums. Furthermore, there are stock mouthguards, boil-and-bite mouthguards, and custom mouthguards, in terms o fitting. The first type is made of rubber and comes in just one shape, often very uncomfortable for wearing. Boil-and-bite type mouthguards are usually made from a thermoplastic material (EVA) and need some molding in order to get a good fit. They’re quite easy to use though and offer solid protection. These are the mouthguards grapplers use most commonly. 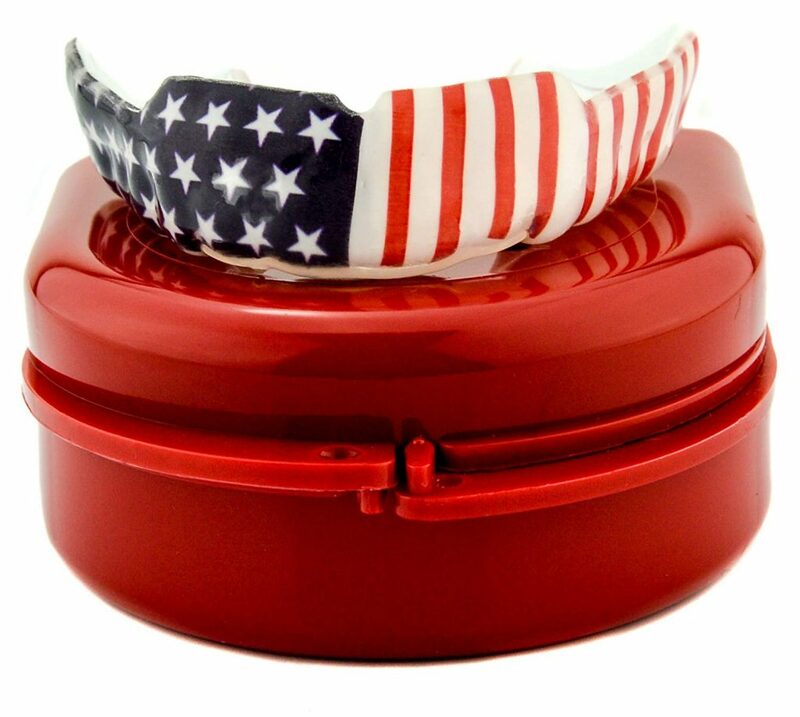 Custom mouthguards require a dentist’s assistance as a complete mold of your teeth is essential. They’re the best option by far, but do not come cheap. Finally, there’s the aspect of innovative materials for mouthguards. today, there are BJJ mouthguards made from acrylic material that also feature gel filling for improved protection. In case you are wondering if you should wear a mouthguard during training and competition the answer is yes. It doesn’t matter if you feel uncomfortable with it, everyone needs to wear one. That said, in training, there’s no need to wear it constantly. Just put it while you’re rolling and you’ll be more than fine. In the case of braces or other orthodontic gear, you’ll have to have one a tall times, no exceptions. So, when you’re looking to get yourself a mouthguard, make sure you’re aware of the following characteristics. First of all, you need to be able to breathe and speak with it. This implies a certain level of comfort that’s absolutely necessary when you engage in a complicated contact sport like BJJ. Next up, fitting. If your mouthguard doesn’t cover everything in a smooth and fixed manner, it’s not a good choice. It needs to stay in place even during the fastest movements. It also needs to last longer and be easy to maintain and clean. Of course, the material must not allow your mouthguard to deform or tear easily. Finally, it has to be tasteless and odor-resistant. Below, you’ll see a selection of mouthguards that fills all these criteria as you’re searching for the best BJJ mouthguard for yourself. The most obvious reasons for including a BJJ mouthguard in your daily training are protection against chipped teeth, root and bone damage. What people usually fail to grasp is that a mouthguard also protects the soft tissues of your mouth, which include the lips, tongue, and cheeks. The protection here is against your own teeth, which are not going to be able to bump into soft tissues causing tears and wounds. 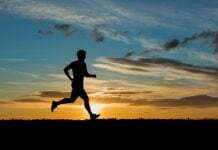 There’s also the very serious protection against serious injuries, the likes of jaw fractures, concussions, potential neck injuries and even bleeding inside the brain. This is done via the prevention of direct violent contact between the upper and lower jaw. 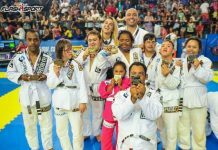 In that sense, it can be a lifesaver, which is a great reason why nothing but the very best BJJ mouthguard should be an option you’re considering. There’s also a not so obvious reason why you need mouthguards when you train BJJ. Having something jammed inside your mouth means that you need to be able to breathe correctly. This ensures that you have sufficient conditioning and the calmness of nerves to keep your breathing patterns in line. A good tip is to wear your mouthguard while you’re training to condition so that you can get used to it. Without further ado, let’s go straight int our selection. We spent a considerable time sifting through what’s good and have tried the products ourselves. Below is the list of the mouthguards that are going to keep your teeth safely in place in 2019, whether you just like to roll or are a fierce competitor as well. As far as we’re concerned, these options all fit the best BJJ mouthguard criteria to a T! First up, one of my personal favorites. I am not a big fan of Venum’s Gi range, or shorts, for that matter, but this is a masterpiece. The Venum “Challenger” mouthguard is by far the best BJJ mouthguard you can get in 2019. It ticks all the boxes before you even check. One of the main caveats of this mouthguard is its size. This mouthguard is probably the smallest one you’ll see on offer. That, however, does not mean it is going to lack protection or fit unsatisfactory. On the contrary. The modern design provides you with an unrestricted air flow while offering maximum protection. Inside, it has a gel frame that ensures you can fit it to fit your jaw to perfection. Another great benefit is that it is incredibly comfortable. In fact, this is the one most comfortable mouthguard I’ve ever worn. It has double layers for increased protection, is very soft and flexible and is one of the most durable options out there. 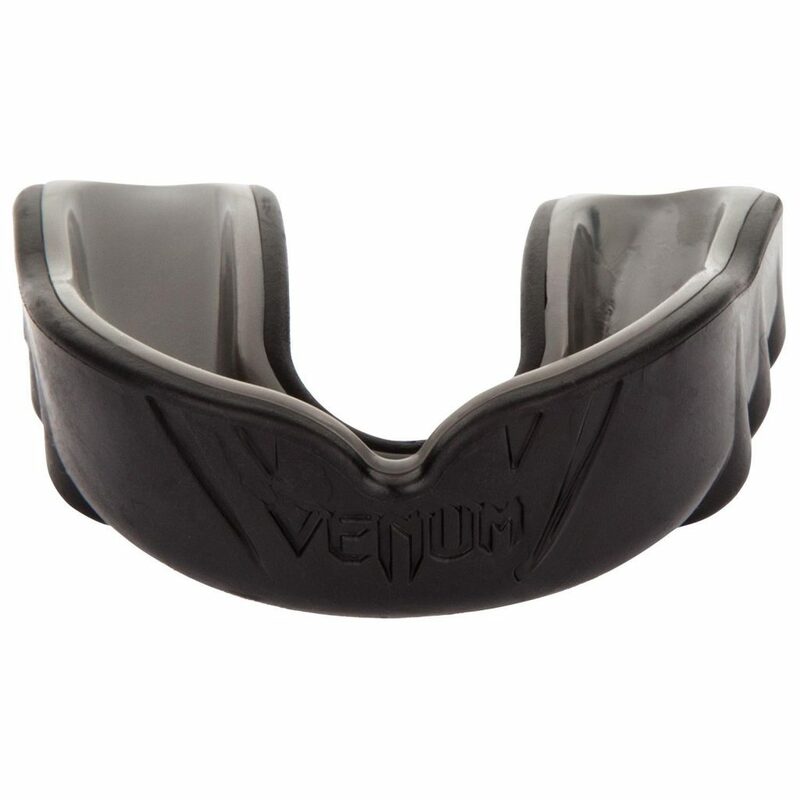 Venum Challenger BJJ Mouthguard Top OFFER! The SISU 1.6 Aero Guard is considered by many to be the one best BJJ mouthguard of all times. Or at least until SISU come up with a better version. As far as dental protection goes, this is definitely one of the top options you can use in any sport, not just BJJ. In terms of size, this mouthguard might seem too thin to be effective. This is not true. Although it is up to 50% thinner than your regular mouthguard, it actually offers more protection than most other related products. Because of this, it fits perfectly providing complete protection against all kinds of trauma. 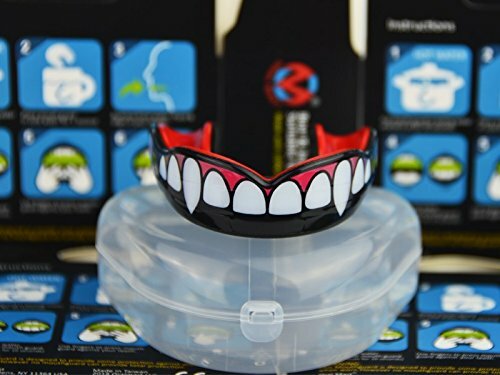 This mouthguard’s main attraction is how it fits .you can custom fit it so well, that you’ll have no trouble talking and even drinking with the mouthpiece on. This means that you’re breathing is completely unaffected as well. Hygiene is a non-issue and it is going to last at least as long as all the other products on this list. 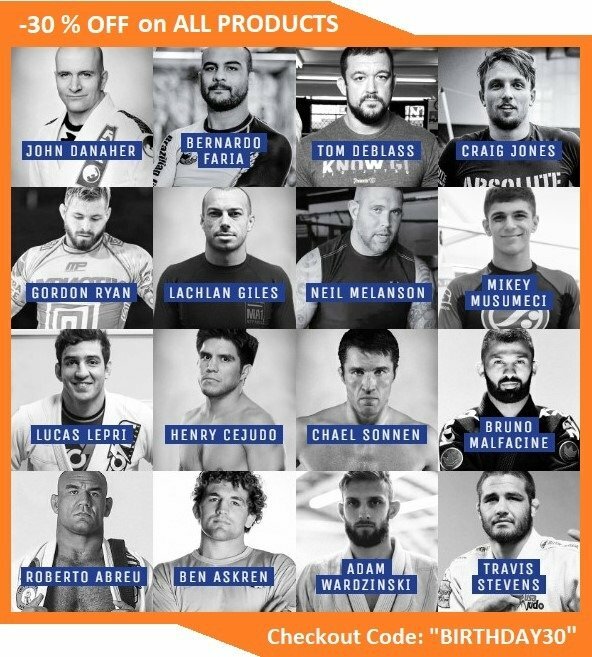 In the Shock Doctor category, there are actually two best BJJ mouthguard contenders. Shock Doctor’s products were the first I used when I started training BJJ. The first one is the Shock Doctor pro, a mouthguard that’ll satisfy even the pickiest of grapplers. First of all, it works for both adults and children. Another lightweight, double-layered mouthguard, offering complete protection of the oral cavity. Actually, this one even has additional features, like a bumper that absorbs force, and even pads for your jaw. This feature means your entire mouth is protected from all sides. The Shock Doctor Gel Max mouthguard is another one of their products that we can’t skip over. As far as I know, they were among the first to feature gel technology. Their gel-fit system makes sure you’ll never have to bite down on your mouthguard. Instead, it clings to your teeth effortlessly once you custom fit it. An original feature is the so-called Exoskeletal frame, which is essentially a heavy-duty rubber frame for maximal protection. Plus, you can boil and reshape it as many times as needed to achieve the perfect fit! The Sanabul mouthguard is a bite-and-boil mouthguard that offers a lot of benefits for grapplers. One of its main characteristics is the airflow technology. This mouthguard has one unfair advantage over all others – you can barely feel that it is there. One reason for that is that it allows you to trim away unnecessary parts after you boil and mold it. The Sanabul is also one of the easiest mouthguards to clean and maintain. You won’t need any extra time or effort to keep it fresh hand ready for your next roll. On top of everything, it is the cheapest piece of protective gear on our best BJJ mouthguard list. While the material is not as thin as with some of the previous products on this list, not feeling its presence more than makes up for it. If you thought Under Armor was only good for making rashguards, you’re mistaken. Their ArmourFit mouthguard happens to be on of the top pieces of protective dental gear you can find on the market. 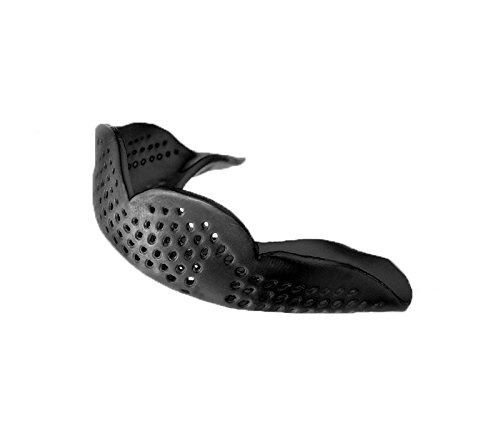 A lot of work has gone into making this mouthguard fit your jaw perfectly so that it doesn’t bother you when you train. The end result is a complete success – a dentist-like fit. 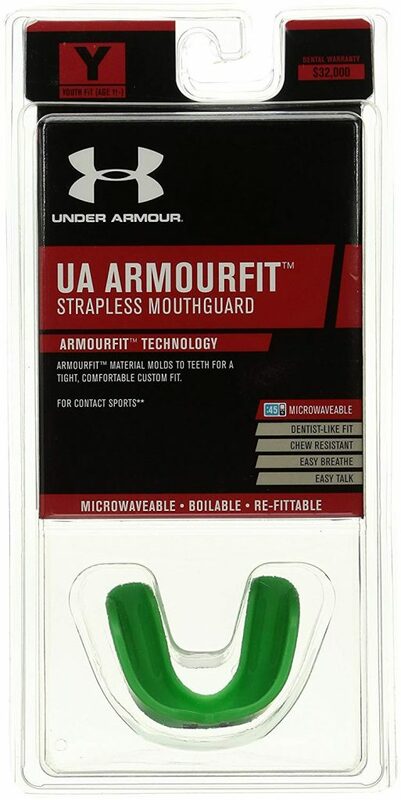 Another cool feature of the ArmourFit is that it is a chew resistant mouthguard. 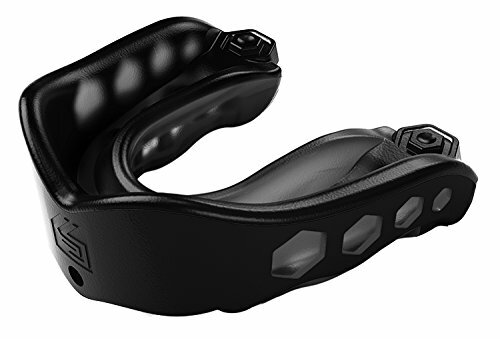 Similar to the Venum and SASU mouthguards, the ArmorFit is incredibly thin yet durable, It is optimized to ensure airflow is uninterrupted even when you’re dead tired. It is a mouthguard that’s really easy to mold and even stands multiple remoldings if needed. It also comes in 10 different colors and a simple yet attractive design. 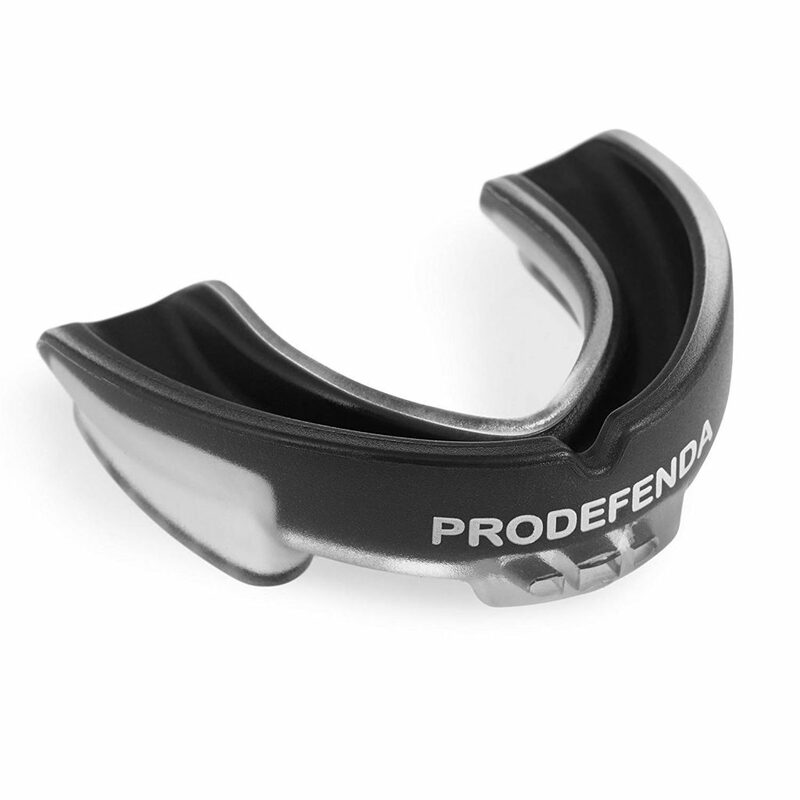 The ProDefenda mouthguard might not be something you’re as aware of as perhaps Venum or Under Armor. This is completely understandable as they’re not a big BJJ company. What they do, though, is making a really mean mouthguard. It comes in a simple design and only two main colors – black and white. however, what it “lacks” in design it more than improves upon in effect. This is a fairly thick mouthguard, meaning protection is more than guaranteed. Last but not least, we have the Impact Custom Mouthguard. The impact is a mouthguard that, if nothing else, endured the test of time. And it did it with an impeccable record. The one unique characteristic is that you can actually choose the thickness you want. So far, their range goes from 5 mm to 7 mm. This mouthguard is made out of BPA-free plastic and is one of the tightest fitting products in this category. It is also a boil-and-bite mouthguard, yet with a different flair. the first time you order an Impact Custom Mouthguard, you won’t receive one. All you’ll get is a mold, that you need to use on your mouth and then return to the company. then, they’ll make custom fit mouthguard from scratch that’s only going to fit you. Finally, once you actually invest in one of the best BJJ mouthguard options we offer, you’ll need to make sure it lasts. One main thing to focus on is hygiene. you’ll need to clean your mouthguard on a regular basis, which means after each and every time you wear it. Washing it with water and soap in a sink straight after training is one great and easy option. You can then air dry it or use a towel. Remember to keep moisture away when you’re not actually using your mouthguard. If you want more thorough options you can also use a toothbrush to rinse and even dip it ina hydrogen peroxide solution for a few minutes from time to time. On the subject of boiling and molding a brand new mouthguard, most of them have clear directions included in the package. However, the main things to know are boiling water, a container of ice water and some tongs to avoid burning yourself. Leave the mouthguard in there until it is pliable but not too soft. Use tongs to extract, but be gentle so that you do not leave impressions. After leaving the mouthguard to cool a bit (enough so that you can bite) you can place it in your mouth and mold it. Once you have everything you need, put it in the container with ice water so that it sets. 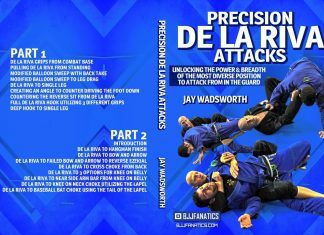 Previous articleOld School BJJ vs. Modern Jiu-Jitsu – Which Do You Prefer?